As the president of an American college with a distinctive approach to liberal learning, I have watched from afar with great interest as curiosity has grown in Europe about liberal, as opposed to specialized, higher education. That curiosity has now culminated in this gathering, where we are sharing our thoughts about grounding an education on the study of great books and original sources. This curiosity comes along with conflict—the conflict between liberal education and specialized education. So, instead of spending my time on a discussion of the mechanics of our program of study at St. John’s, I will address my remarks first to the conflict between liberal and specialized education and why I think the former is essential to success and happiness in the latter. I have approached my remarks as though I might be addressing skeptics of liberal education. Modern higher education has become hyper-specialized, and the divisions among the specialties have become integrated into our habits of thinking. It is taken for granted that progress in thought is made on the front edges of specialized research. So our institutions of learning have shaped themselves into structures that foster, promote, and reward an increasingly intense focus on increasingly narrow fields of study. Now, the mindset that assumes the dominance of specialization in higher education sees generalist education as basic and simple, perhaps even simple-minded. It relegates general education to grammar schools, as a sort of necessary training in basic facts and elementary skills. Higher education, on the other hand, is thought of as an initiation into the mysteries of advanced thinking. It must be taught by professors who, having themselves discovered paths to the forefronts of their specialties, will lead aspiring students along those same paths. I am not here to reject this perspective. It would be foolish. The very real advances made by the continually growing number of specialties are too obvious to deny. But I do hope to persuade you that the emphasis of this perspective on cutting-edge discoveries has eclipsed another view of higher education, one that, while recognizing the value of specialization, at the same time believes there is something more important in education than specialization. That view is what I, and others like many of you who share this vision, call liberal education—education that fosters individual freedom, both in thinking and in living. Toward all study and inquiry, whether lowly or exalted, there seem to be two ways of holding oneself. Concerning every object of study and inquiry, whether low or high, there seem to be two ways to comprehend the matter. One is aptly called detailed knowledge of the subject, the other, a sort of cultivated understanding. For it is proper to an educated person to be able to judge adroitly whether a speaker is presenting an account well or not well. And indeed, we think both that someone of this sort is generally cultivated, and that this cultivation consists in the ability to do what has just been said. 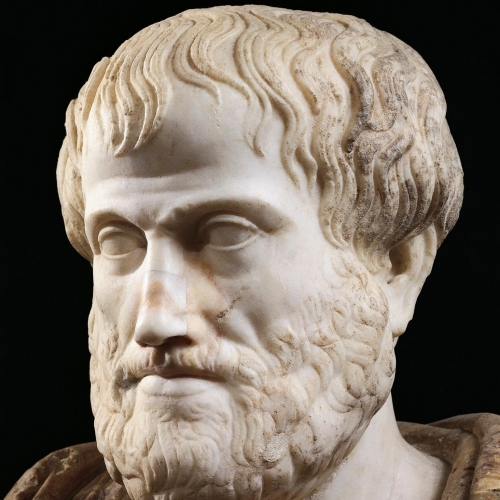 Aristotle is describing, on the one hand, specialized knowledge, and, on the other hand, what used to be called sound reasoning: namely, the combination of training in logic, interpretation, and argumentation that allows well-educated people to tell whether anyone—even an expert in a particular subject—is arguing cogently. It is by some such ability that a scientific layman, like me, can study a famous paper on quantum physics by Einstein, Podolsky, and Rosen and see that their reasoning is suspiciously circular, as well as laden with all sorts of metaphysical assumptions that make their conclusions dubious. Sound reasoning is one intellectual ability that cuts across, or rises above, specialized disciplines. Let us call such things transdisciplinary. Later, I will speak about another transdisciplinary ability that is just as important as sound reasoning. But for now, let sound reasoning stand as one example of the content of a liberal, as opposed to specialized, education, and one that was recognized as long as 2,500 years ago. If the distinction between specialized and liberal education is ancient, so too is the conflict between them. One could argue that Socrates was put to death by people whom he, a layman, demonstrated to be ignorant about the subjects in which they claimed to specialize. So it is also nothing new that we find ourselves living in the midst of this conflict. Nor is it a new thing that some people are curious about resolving the conflict. Down through the centuries, starting perhaps in prehistoric times, schools have been founded to bridge the gap, to cultivate students generally, and to help them to see the proper relations between liberal education and specialized education. And this was precisely what happened almost eighty years ago when the founders of our program of study at St. John’s College, Scott Buchanan and Stringfellow Barr, set in place our current curriculum. What did they come up with? As you know, St. John’s is often called the first Great Books college. The label stuck because of the strategy Buchanan and Barr adopted to cultivate a liberal education. Their idea was to have students read and discuss the works of the foundational thinkers and artists of the Western tradition. While the readings have evolved over time, not much has changed in a fundamental way at St. John’s in the eight decades since. Our program consists of four years of intense discussions about literary, philosophical, historical, political, mathematical, scientific, and musical masterworks. We hold our main discussions twice a week for two or more hours in the evening. We call these discussions seminars. The participants include two faculty members and sixteen to nineteen students. Supporting the work of the seminars are other classes dedicated to sharpening the logical, interpretive, and argumentative skills needed to try to understand the seminar books. These we call our tutorials, in language, mathematics, and science, and they meet three times a week during the day, usually for seventy to ninety minutes. These classes have one faculty member and about thirteen to fifteen students. We have campuses in two lovely settings: in Santa Fe, New Mexico, and Annapolis, Maryland, allowing students to transfer back and forth, but also allowing for local campus innovations to keep us looking at ways to improve our program. Why do we insist on reading original sources? First, because they are difficult. If you want people to become proficient at sound judgment, they must cut their teeth on hard objects. Second, because they are original, both in the sense of being at the beginnings of long trains of thought that flow out of them, and in the sense of having invented or uncovered new starting points for thinking. They transcend time and remain relevant because they continue to lie behind new discoveries and new thinking. And third, because they are elemental—not in the sense of being simple, but in the sense of being close to building blocks of thought. They are also often quite beautiful. Now there are many criticisms of programs like ours. Some attack the selection of texts for being biased. 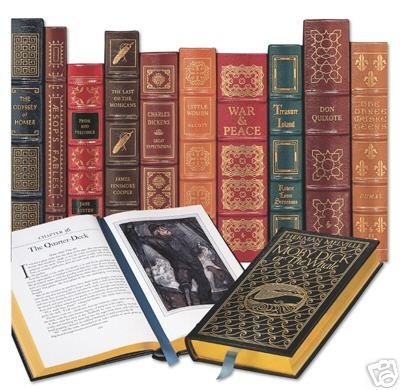 Some reject the very notion of a “great” book. There are too many such critiques to treat in the short time I have today, but I would like to respond to one of them, because it goes to the heart of what this conference is trying to accomplish. Some think that it is a fool’s errand to try to read the original texts written by authors dating back thousands of years. Some might even argue that it cannot be done by modern students. On the contrary, they argue, students need to be guided by experts in the languages of the authors, experts in the historical context of the authors, experts in the biographies of the authors—in short, by someone who has specialized knowledge to impart to the student. This is the usual way of teaching at a university. The expert may, indeed, assign original works, or parts of them, for the students to read. Quite often, the reading assignments are from secondary sources that attempt to explain or critique or contextualize the original sources. But once the reading is done, students must attend lectures in which the works are interpreted for them by the expert lecturer. In this way, it is thought the students gain knowledge that they could never get for themselves unaided. And their reading of the original work becomes mediated by a learned expert, who, for better or worse, may act as a brake on the free exploration that the student might undertake if confronting the original work directly. Expert teaching then, will often regard detailed knowledge as the end of learning. The facts, the ideas, the arguments that the student gleans from the expert can be tested, and then the teacher knows whether the student has learned what the teacher taught. Liberal education does not think about teaching in this way. Of course, facts are important. Knowing things is important. But it is possible to learn lots of facts, lots of ideas, and lots of arguments without gaining the transdisciplinary abilities that help us to approach all facts, all ideas, and all arguments with a disciplined attention to their relative importance and interconnectedness. It is, so to speak, learning without learning. The result is detailed knowledge—perhaps even spectacularly detailed knowledge—but little or no cultivation of the transdisciplinary abilities that enable sound judgment. It is the intellectual equivalent of giving a man a fish instead of teaching him to fish. Now, of course, it is possible to teach specialized subjects liberally—and I dare to say many or most of you try to do this in your classes—but is not easy to depart from the syllabus, testing students on expected outcomes, and so on. Now, liberal education has no aversion to facts, ideas, and arguments. On the contrary, it recognizes them as the material of intellectual activity. And it certainly does not disparage detailed knowledge. On the contrary, it recognizes that one of the greatest satisfactions in life is mastering a specialized field of inquiry or a specialized activity. But it prefers to place its emphasis on learning how to approach knowledge generally; that is, on mastering the transdisciplinary abilities that make possible self-directed learning. Liberal education has as its end the free mind, and the free mind must be its own teacher. Intellectual freedom begins when one says with Socrates that he knows nothing, and then goes on to add: I know what it is that I don’t know. My question then is: Do you know what you don’t know and therefore what you should know? If your answer is affirmative and humble, then you are your own teacher, you are making your own assignment, and you will be your own best critic. Buchanan recognized that the spur to learning rests in the recognition of one’s own ignorance. Today’s critics of liberal education decry such sentiments as high-toned but empty rhetoric—tattered remnants of aristocratic paternalism. In our modern, capitalist world, they say, what every individual needs most of all is exactly some sort of specialty that can be bartered for the means of survival. And what society needs most of all is workers with exactly such specialties to provide the innovation that keeps the economic engine humming. Hawking propagandistic notions like “intellectual freedom” and “cultivated understanding”—even if they are not merely antiquated fictions—they say, is cruel and fraudulent educational malpractice given the realities of the twenty-first century. In response, I say that no view of higher education could be more enervating or debilitating. Freedom of thought and cultivated understanding are absolutely crucial for these times. Modern democratic societies are predicated on the freedom of the individual. Citizens of these democracies must think for themselves and make generally sound judgments, which is more likely if they have learned how to learn. Liberal democracies cannot survive without liberal education. Moreover, capitalism cannot continue to flourish without liberal education. Why not? Because it needs, as its champions rightly understand, continual innovation for its survival. And liberal education grounded in original sources is a powerhouse of innovation for two reasons. First, because the original sources comprise the historical record of the most successful innovations in human history. As such, they are models to be studied for what they can reveal to us about the process of making new discoveries and creating new beginnings. And second, because they demonstrate the crucial role of imagination in human affairs. Imagination is the second transdisciplinary ability that I mentioned earlier, the one that may be even more important in our time than sound reasoning. Both free thinking and innovation depend on having the imagination to see alternate ways of being, to envision worlds that we do not yet see before us, to reconsider what is there, and to conceive what could be there in its place. Training the imagination proceeds through the study of metaphor, by which I mean all connections of any kind among different objects, both in the physical world and in thought. The study of metaphor rises above all distinctions among academic specialties, for the simple reason that any two things or ideas are related in some way, although it may take some ingenuity to find the points of similarity or difference. Repeated practice to develop this ingenuity results in a powerful imagination, one that reveals hidden connections and even follows the threads of merely possible connections to find, as yet, undiscovered objects. And it is liberal education that promotes the transdisciplinary ability of imagination, by investigating metaphors wherever they occur, in literature and the arts, in mathematics and science, in politics and history. For all the undoubted progress made by modern academic disciplines, they nevertheless constrain the imagination. The specialized methodology of each discipline insulates it from others, enclosing the specialty in the safety of its currently accepted paradigm. Each discipline has to decide what it considers a proper object, what counts as evidence, what forms of argumentation are acceptable, and so on. Imagination is not so constrained. Skilled in the study of metaphor, it can easily revise the notion of its object, quickly change course, and find new connections to speed it on its journey of discovery. Of course, specialists too can make astounding journeys of discovery. But when they do so, it is because their imagination has been sparked by recognizing a new connection. When Darwin supposed that Nature might select traits in the manner of a livestock breeder, he sailed on the winds of imagination to a new country of thought, and transformed the science of heredity forever. Or when Crick and Watson imagined that chemical substances could function as elements in a code like those developed during the war. Imagination, indeed, is the originator of disciplines, the innovator of specialties. It is only from the universe of all connections that a discipline can select its particular connections. 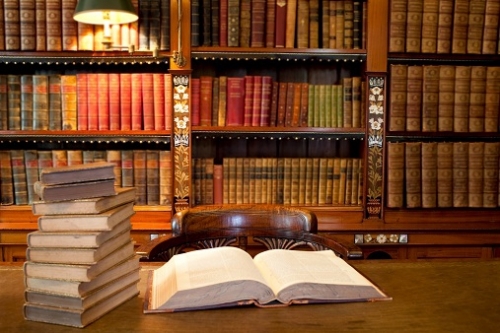 That is to say, the special disciplines, each and every one, were established by the power of imagination surveying the universe of connections and choosing the particular connections that would apply in each specialty. Imagination, like sound judgment, transcends all specialties. It is the generator of all innovation, including the innovation so necessary to capitalism. And it is a particular concern of liberal education. So those who reject liberal education on the ground that specialized knowledge is the engine of innovation are cutting off their noses to spite their faces. I have tried to show in this short address that liberal education grounded in original sources can develop transdisciplinary abilities that are hardly to be expected from specialized disciplines, that these abilities are the foundations of intellectual freedom and creative innovation, and that twenty-first-century societies desperately need freedom of thought if they are to survive as democracies, and imagination if they are to prosper in their capitalism. I have not addressed many questions you may have about the specific choices we have made at St. John’s concerning our approach to liberal education, such as questions about the particular books on the Program and our choice to read them chronologically, about our way of turning the class over to the students, about our decision not to organize our studies into courses, about our reasons for requiring the faculty to teach across the curriculum, or about the openness of the Program to change as time goes on and knowledge expands. Perhaps we can take up some of them in the question period. Let me close now by expressing the hope that over the next day or two, through our shared conversation and questioning, we can advance beyond our present state of curiosity about liberal education and begin to devise ways to resolve the conflict with specialized education. Books on the topic of this essay may be found in The Imaginative Conservative Bookstore. This essay was the address to a conference in Amsterdam on the Liberal Arts and Sciences Education and Core Texts in the European Context (September 11-12, 2015) and is republished here with kind permission of the author. Christopher B. Nelson is a Senior Contributor to The Imaginative Conservative. He is president of St. John's College in Annapolis. St. John's College, with campuses in Annapolis, Maryland, and Santa Fe, New Mexico, is an independent, four-year college that is devoted to liberal education. Students and faculty engage directly -- not through textbooks and lectures but through study and discussion -- with original texts and ideas that are the foundation of Western thought.